Do you live in Utah and love home improvement and interior design? 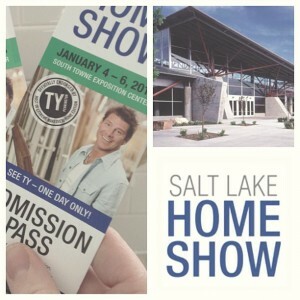 Have you heard about the Salt Lake Home Show? The South Towne Expo Center is located at the South Town Expo Center at 9575 S. State Street in Sandy. Parking is free. Tickets are $10 for adults, and kids 12 and under are free. 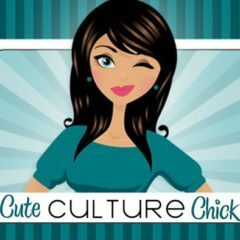 If you want to purchase tickets online in advance for $7, buy them HERE and enter promo code “CULTURE” at checkout. 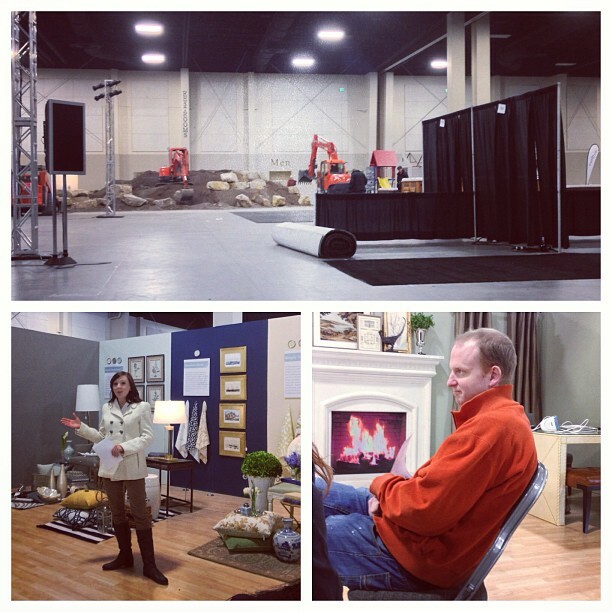 Yesterday I attended an exclusive preview of the Salt Lake Home Show with some local bloggers, where we got to see some of the behind-the-scenes expo stuff and hear about home design tips from Opal Design Group. It was 8 degrees outside, and the expo hall was FREEZING because the big cargo doors had to be open to allow exhibitors in to set up their booths. If you look in the collage below, you can see big backhoes moving dirt and rocks around to make a landscaping display. Want to go to the Salt Lake Home Show for free? I have two pairs of tickets to give away. The two pairs will be available to the first two people to reply to me (either on Facebook, Twitter, blog comment, or text). The catch? You must be able to pick them up from me at work in Draper today before noon. I’m going out of town for New Media Expo in Vegas this afternoon, and unfortunately won’t be able to attend the event.